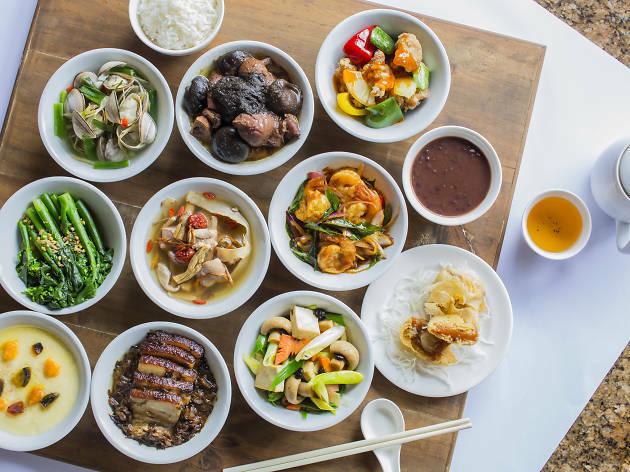 Ah Hoi's Kitchen's 12 at 12 lunch promo returns, with a dozen new sharing dishes to feast on, such as double-boiled herbal chicken soup, braised pork knuckle and braised duck, priced at just (you guessed it) $12 a person. For Reunion Dinner, the 8 at 88 Huat! 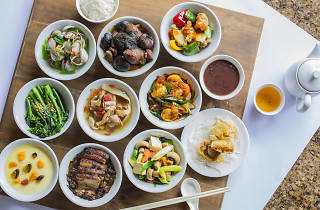 set meal ($88/four) dishes out eight plates including Chef Lam Loon Tuck's signature sweet, sour and savoury combination of pomelo, pomegranates, crispy fish skin and vegetables. The restaurant will also serve two Lunar Festive Dinner sets ($488/six-eight people) with dishes like steamed codfish with kim hua ham, double-boiled chicken consomme with ginseng, and braised whole abalone with Chinese mushroom, dried oyster and black moss.